Snowball II - Anais & Me. 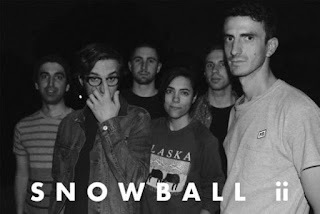 Background - Los Angeles’ own chameleonic shoegaze, indie rock, and noise collective Snowball II has announced the release of their third full-length album in the first year since the band’s formation. The album is titled Flashes of Quincy. ­Just as on the first two Snowball II albums, band leader/producer Jackson Wargo took on nearly all instrumental responsibilities on these recordings; although, the album’s first single offers a very rare and special guest appearance by Kurt Heasley—founder and frontman of influential ‘90s shoegaze band Lilys. The first single—entitled “CR-VUC”—exemplifies yet another unpredictable stylistic departure from Snowball II’s dreamy and acoustic sophomore release Doughnut Holes—which itself was a drastic generic departure from their feedback drenched shoegaze debut album. Flashes of Quincy is slated for release mid-February 2017. Background - With their new single, “Heartbreaker,” VOWWS veer into the wrong lane - and smash backwards into Pop. The new single was released this week, coinciding with their North American tour in support of British post-punk band White Lies. A flash-grenade of musical justice, “Heartbreaker” opens with the layered ramblings of a mad man - before exploding into an urgent groove of cascading beats, vertical guitars and a guiding, screaming synth - a musical offering that pummels you over the head with a sick smile on its face. "We wanted this song to be a window into casual insanity. It's war music for peaceful people cos when everything looks the same, it's harder to choose,” says Matt. 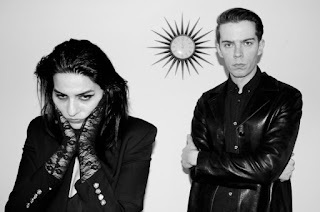 Heartbreaker was produced by the duo and Rhys Fulber (Front Line Assembly, Fear Factory, Youth Code). Their second album, the follow up to 2015's 'The Great Sun,' is due mid-2017. Christina Rubino - Down To The Sea. 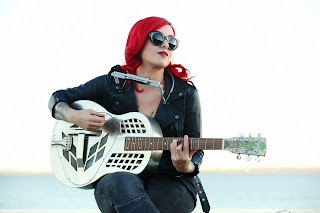 Background - Brooklyn singer/songwriter Christina Rubino has a new video for a song entitled "Down to the Sea", off her upcoming full length album ''Godspeed and Guns" set for release on Valentines Day -February 14th 2017. With the release of the Godspeed & Guns album, Christina Rubino brings a new feel to a classic genre. Lush with addictive progressions, soulful vocals, and an alternative edge, the record boasts the aesthetic of indie rock anthems. Though the songs are diverse from one another, there is a glue that holds it all together, much like a concept album would. Most importantly, the record never loses sight of the emotional platform great songs are built from. The Dream - Get Dreamy (1967 Album Reissue). The Dream - Get Dreamy (Round 2) 3 March 2017. 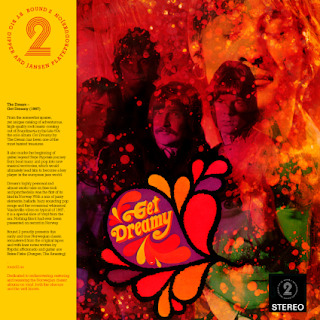 Background - From the somewhat sparse, yet unique catalogue of adventurous, high-quality rock music coming out of Scandinavia in the late 60’s, the sole album ‘Get Dreamy’ by The Dream has been one of the most hunted treasures. Originally released in 1967, the album proves that the youth of Norway were just as happy swinging as their Blighty cousins. It also marks the beginning of guitar legend Terje Rypdals journey from beat music and pop into new musical territories, which would ultimately lead him to become a key player in the European jazz world. Background - Analog Candle are pleased to share the first single from their upcoming EP. 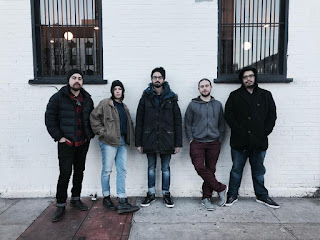 Hailing from New York City via England, Chicago, New Orleans and Boston – Analog Candle is an expressionist, avant-garde dream-pop collective formed by producer and songwriter Callum Plews. The name “Freedom Fry” – a satire on French/US relations during the Iraq war. The French & American duo have racked up over 40 appearances on the music blog aggregator, including SEVEN Top 10s and TWO #1s. 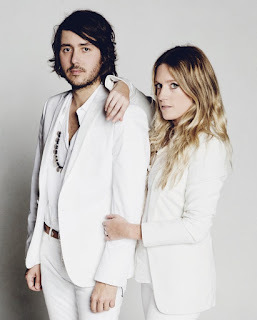 While independent, they’ve amassed over 20-million combined streams on Spotify & SoundCloud and received support across airwaves from radio tastemakers KCRW, KEXP, BBC Radio 2, Radio 6, SIRIUS XM, WXPN, RTL2, and beyond. Clap Your Hands Say Yeah - Down (is Where I Want To Be). 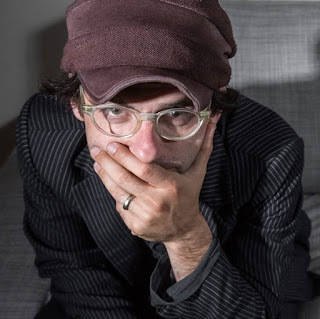 Background - Clap Your Hands Say Yeah, heads into its twelfth year and the release of its fifth album, The Tourist. Like previous Clap Your Hands Say Yeah records, The Tourist nods to Alec Ounsworth’s musical heroes—a group that includes artists such as John Cale, Robert Wyatt, Tom Waits and Nick Cave. However, this album also shows a natural progression from previous records. “Better Off” and “The Vanity Of Trying” are lush, keyboard-augmented songs, while “A Chance To Cure” and “Ambulance Chaser” are rhythmically askew, and the sighing “Loose Ends” is delicate, acoustic-based folk-rock. Brandon Krebs - Alarm Pheromones. 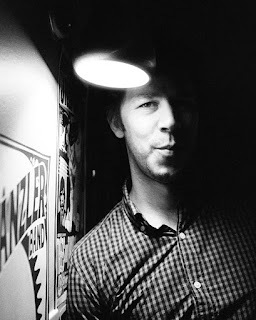 Krebs has decided to go with creating under his own name for new album Refuge In Exile, due out in mid-March. A deliberate change up from the heavy guitar-rock of his last release Tethered to A Piece of Falling Sky (recorded under previous moniker Stranded Sullivan), Refuge In Exile’s instantly breathtaking sweep and rhythmically undulating hooks challenge its title’s reveal of how it was made intimately and mindfully in an uncertain two-year period of the artist’s life.